A full-time course load at McGill is considered as 12-15 credits per term. Exchange students are not permitted to take more than 15 credits per term. McGill's course calendar includes a full description of courses available and university regulations which will govern your stay at McGill. The courses listed on your exchange application serve only as a guide when evaluating the application for admission. Most courses have limited enrolment, and course access and registration to any given course is not guaranteed, but is subject to availability, and may be subject to the approval of a McGill adviser. 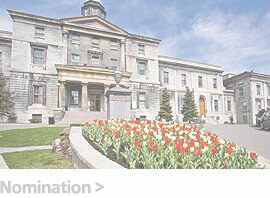 Successful completion of courses does not guarantee entrance into a future degree program at McGill. It is understood that limited enrolment, normal timetabling and scheduling constraints apply to all students, including exchange students. The following courses, among others, are not open to exchange students: •courses offered at McGill University by some professional faculties that are restricted to degree candidates in their programs; •research project courses and thesis courses; •special topics courses. Fall session or full-year: Indicate “Yes” under “Residence Accommodation” section in the online application. Off-campus housing: Visit the Off-campus housing website. Incoming students on formal exchanges are exempt from regular tuition charges and compulsory per term charges. They are, however, required to pay and enrol in the McGill International Health Insurance plan and pay for any additional course charges that are compulsory upon registration. Such additional course charges may represent program fees, special activity charges, course materials or fees for non-credit courses. Students will also incur Campus Printing charges (if they use the service), which are charged to the fee account on a monthly basis and represent pay for use of printers on campus. 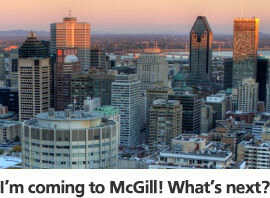 Information on McGill’s e-billing and how to pay is available on the Student Accounts website. Find out about the International Health Insurance plan on the International Students Services website. Students are charged for the health insurance once they register for courses, however they are charged for the full year amount. In order to adjust the fee to the actual duration of the exchange, students must confirm their coverage in Minerva, starting August 1st (Fall start) or December 1st (Winter start). Students who meet certain criteria may be eligible for an exemption. The list of exemption categories can be found under Eligibility for Exemption on the site indicated above. Please note that, students covered by private health insurance are not exempt from the McGill plan. Consult the International Student Services website for complete details. McGill transcripts shows only letter grades (not numeric grades). View a description of the grading system (this information also appears on the reverse side of an official transcript). Once you have completed your exchange, please remember to order your official transcript to be sent to your home university. NOTE: Prior to ordering, log into Minerva to view that all your grades have been made available (Student Records Menu->View Unofficial Transcript). If you have a hold on your account, you must clear it in order to be able to order an official transcript. 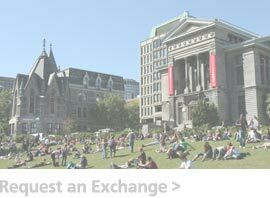 Orientation for new students is to help prepare for McGill’s academic and social life and provide information about the University and its services, living in Montreal, registration and program orientation. Fall term or year-long: the last week of August. Event dates and details are found on the Campus Life and Engagement website.